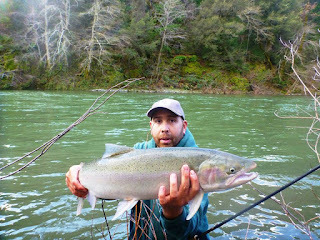 We are now booking our 2016 Winter Steelhead season on the Klamath and Umpqua Rivers. This year we will be fishing for trophy winter steelhead on the Lower Klamath River below Orleans, CA and the Umpqua River out of Roseburg, OR. Winter Steelhead are my favorite species to target because of the amazing fight they put up and the opportunity you have at catching a trophy fish of a lifetime. Don't set around and let this season pass you buy.